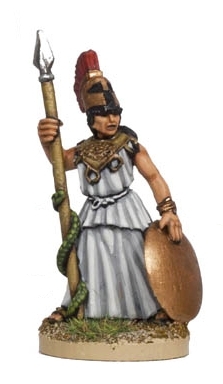 Foundry continue to support the Tribes of Legend rules with another wave of Greek Mythology figures. I’ve lost track of which ones are yet to come, but I think there’s one more wave left. It’s a big range and that’s only talking about the new ones. 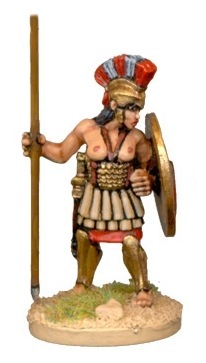 Foundry already have loads of Ancient Greek warriors, and lots more Trojan Wars period stuff, much of which you could mix in with the new models to give a huge variety of options. 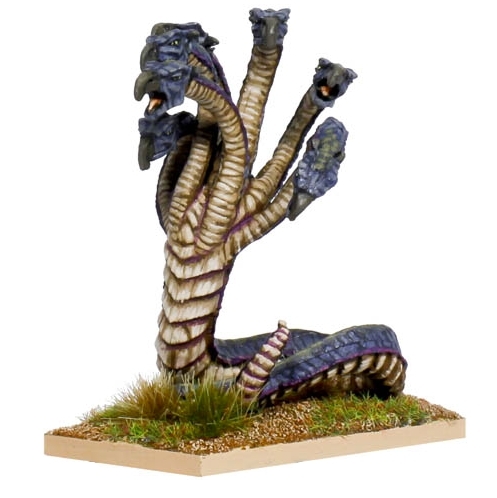 They’ve added a section to their historical site (as well as their fantasy site) so the models in the new range are easier to find. They’re proving really popular too. When I was in the Foundry factory yesterday they were casting like crazy to keep them in stock. This is the emotional gratification for a project like this. It’s all very well getting my usual brown paper bag full of crumpled fivers when I’ve finished the writing (and I do have to pay my bills), but that’s really just mechanical. It is just to pay my bills. The real payoff is when people like what you’ve been doing and “buy into it”, not in a financial sense, but in a sense that they make it part of their (gaming) life. It’s also fun to work with people who are as passionate about games and models as I am. I’m really lucky in having a number of different companies to work with, all of which have real gaming fanatics in. We don’t always see eye to eye on the detail, but we are all coming from a sense of passion and commitment to making the best, the most fun game we can. Having spent some time working for companies in what has been called the Real World, where nobody cares tuppence about the quality of the result and most folk are just keeping a chair warm till they can go home, I can tell you it makes a big difference to your work environment. So what’s next? Well I’ve mentioned God of Battles a few times, and that’s a game I’m really excited about. Having spent a year sitting on my hands and not being able to talk about it, I’m very keen to be able to discuss it openly. It’s still some months away, though I’ve started winding up for it already. But Tribes of Legend is not forgotten – quite the contrary. I’ve been playing it quite a bit recently, and look forward to the Foundry Open Day for it on the 24th and 25th of this month. I’ll be running some games of both Tribes of Legend and Ancient Heroes, and they should be great fun. I’ve also written an article about expanding the Amazon army, with a new scenario for them, and Ancient Heroes has a set of expansions about monsters, including a multi-player scenario I might be able to demo at the Open Day if we get enough people who don’t mind being eaten. If you are able to come along to the Open Day then it would be great to see you, especially if you’ve already played Tribes of Legend and have some questions or comments (good or bad). I expect to be there part of friday and all of saturday. For those of you who live in foreign climes, I’ll do a photo report as I have for other Open Days, so at least you get a little of the flavour. Really glad to hear it’s going well Jake. Might pop along to the open day. It’d be grand to see you there Jody. I’ll probably have more time on saturday. Did you get a copy yet? Nope still no copy yet. They have ToL in stock so I expect things are winging their way through the snow. Finished absorbing yet? What’s the verdict? The open day sounds fun, i’ll have a talk with you sunday about it if thats ok. cheers. Really enjoy the ToL book and I’m busy planning an epic ‘Ancient Heroes’ setup. Will your mentioned monster expansions for it ever be made available to purchase or download? I’m not sure where or when yet, but the Foundry guys will be sure to mention it when it’s available. Come to think of it, I’m not even sure they have decided yet. There has been talk of websites, possible articles in magazines (they recently put one of my articles in one) and other options. It will get released though. I hope they do so, monsters are one of the two forces that we have for ToL. My attempt to remember all their stats from the open day didn’t pan out lol. Just got some more feedback from playtesting yesterday and I’ll be making a final tweak or two and handing in a final manuscript for the monsters in TOL. I think I know what they’re going to do with it now, but there’s no release date yet so I’ll wait till that’s firmed up. It’s coming though.